We just moved to our new house a few months ago. 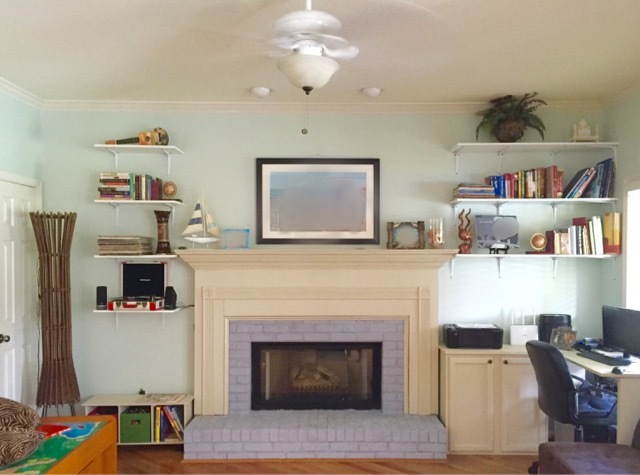 We loved everything about our house except for the fireplace so we decided to give it a make-over. My husband made the shelves and the computer table. I did all the painting. 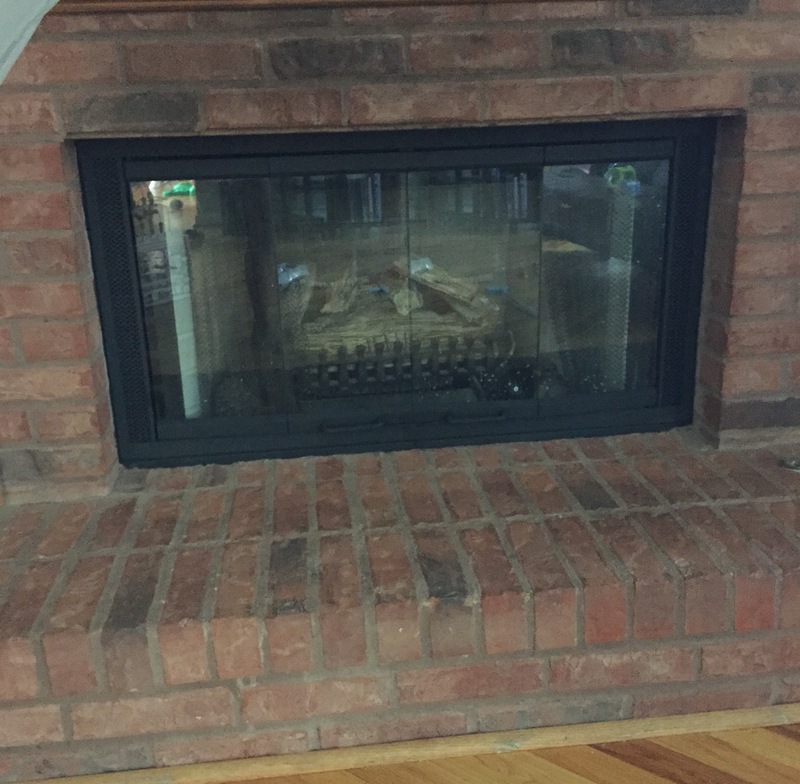 This is what our mantle looks like before. The 1st thing I did was cover the brass with plastic. I got those at Lowe’s with the tape already attached for less than $2. Then, I spray painted it with High Heat Rust-oleum. You can buy it for $5 at Lowe’s or Home Depot. 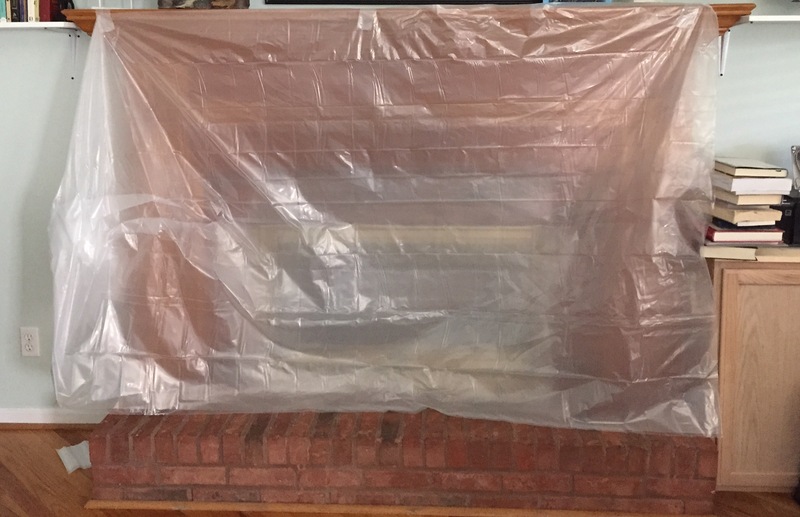 I covered the mantle with plastic. Be sure to use mask and gloves while spraying it and open all the windows in the room. I let it dry overnight. First, I dust off the cobwebs and mortar. 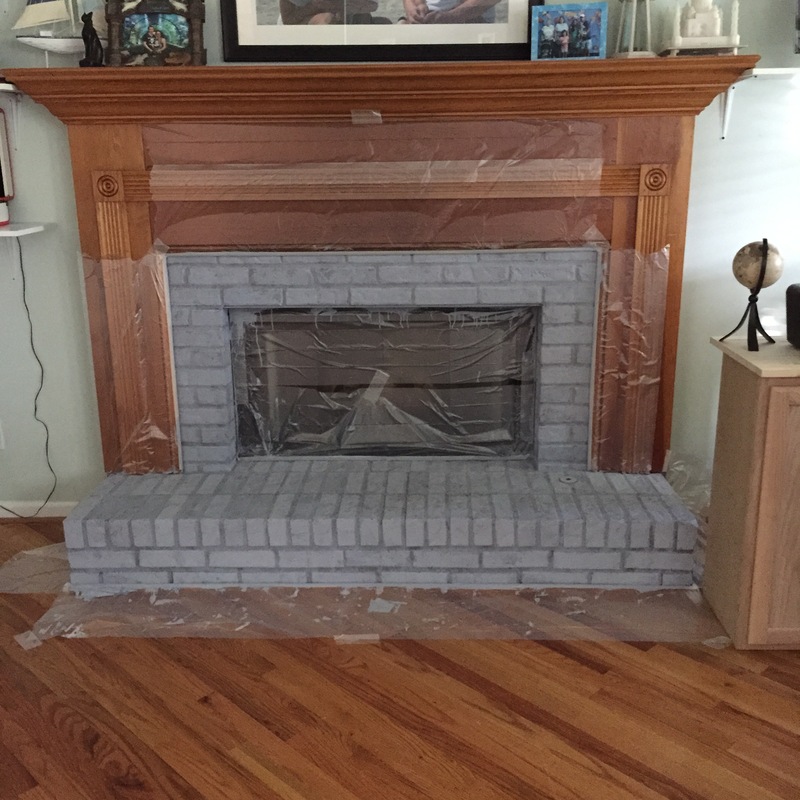 Cover all the edges of the bricks with paint tape. I used whitewash method or in my case greige-washing. I used 4 cups of light grey latex paint and added a cup of water. Mix it well. You measure how much water you add depending on the thickness of paint you want. I started painting the bricks until the brush rans out of paint. Then dab the paper towel or old cloth on the freshly painted brick allowing as much brick to show through as desired. Repeat the process until all the bricks are covered. It dries fast and doesn’t get smelly. 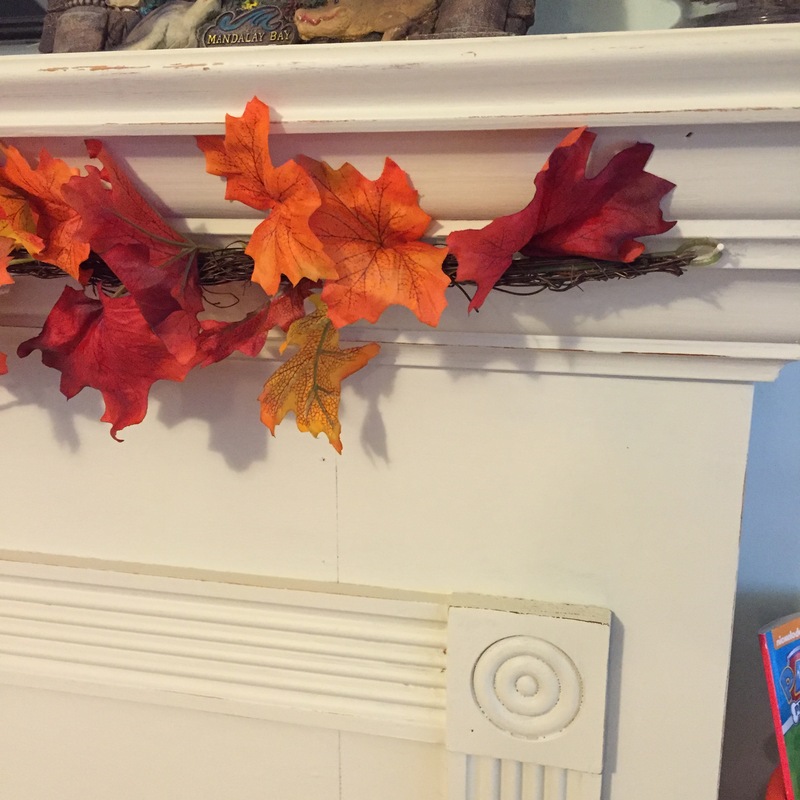 I painted our mantle with a chalk paint I made. I mixed 4 cups of an old beige paint we already have with 1 cup of calcium carbonate and half a cup of water. Mix it well. 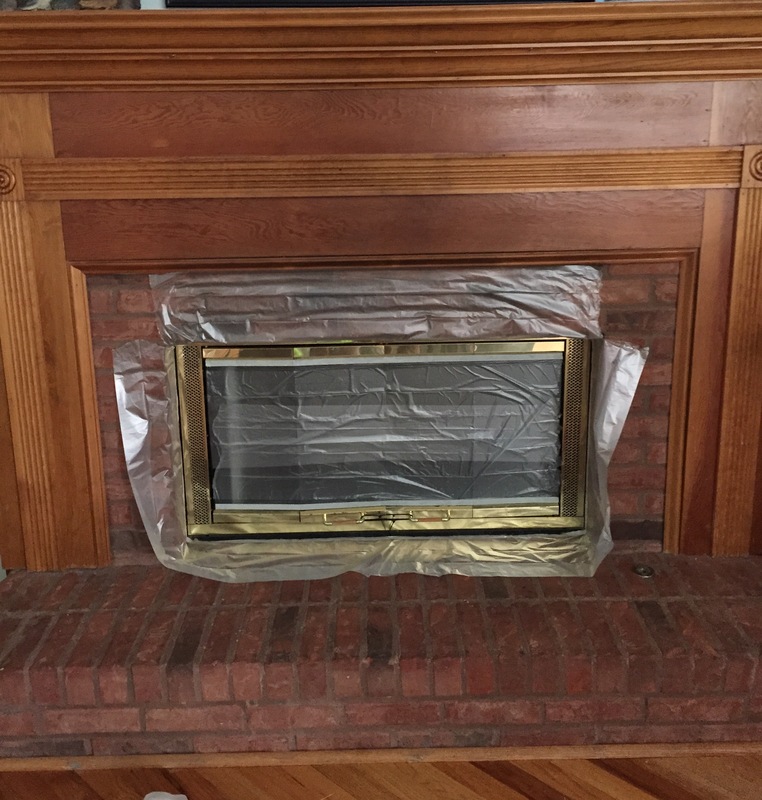 Cover all the edges of the mantle. Paint and let it dry. Then i sanded the edges with a sanding block to give it a vintage look. The next day, i wiped it off with some clear wax. I ordered calcium carbonate on Amazon. A pound was around $9. Tadaah! That’s our mantle’s new look. It made the room look brighter and fresh. Excuse the messy books on the shelves. A closer looked at the edges I sanded.